Following the EU referendum, and the UK's decision to leave the EU there has been much press speculation about a slow down in future UK economic growth rates once Brexit occurs. This is just speculation and if you are a UK business, that still wants to pursue business growth (as we do! ), you might be interested in some research we have conducted about how to finance business growth - and one particular type of funding that has been linked to enabling business growth. <a href="https://www.fundinvoice.co.uk/list_other/finance-for-business-growth.html" ><img src="https://www.fundinvoice.co.uk/images/growth.jpg" alt="Finance For Growth by FundInvoice" width="450" /></a><br /><a href="https://www.fundinvoice.co.uk/list_other/finance-for-business-growth.html" >Growth Finance</a> by <a href="https://www.fundinvoice.co.uk/" >FundInvoice</a>. 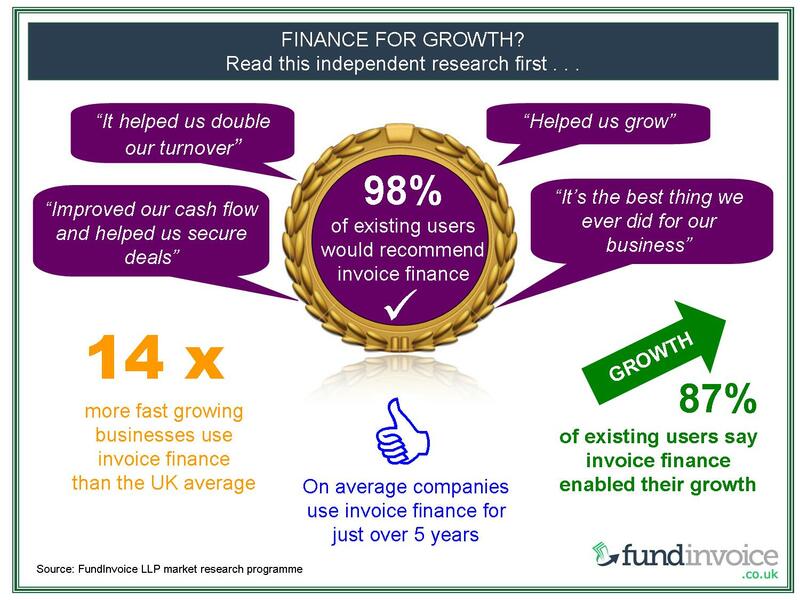 <a href="https://www.fundinvoice.co.uk/list_other/finance-for-business-growth.html" ><img src="https://www.fundinvoice.co.uk/images/growth.jpg" alt=" Finance For Growth by FundInvoice " width="1000" /></a><br /><a href="https://www.fundinvoice.co.uk/list_other/finance-for-business-growth.html" >Growth Finance</a> by <a href="https://www.fundinvoice.co.uk/" >FundInvoice</a>.